Dr. Suzanne Cziraki was educated in Ontario where she attended the University of Waterloo, obtaining both a Bachelor of Science and Master of Science degree in Biochemistry. At the University of Toronto, she first completed her Bachelor of Education degree. After teaching high school science, she then went on to pursue her Doctor of Dental Surgery degree. Dr. Cziraki was the recipient of many awards during her dental education and she was distinguished with membership in the Omicron Kappa Upsilon (Honourary International Scholastic Dental Society). After completing an internship at the Toronto Hospital, she practiced general dentistry in both Ottawa and Vancouver for four years. Dr. Cizraki’s interest in orthodontics, led her back to the University of Toronto to pursue a three-year specialty degree in orthodontics. She graduated with a Master of Science degree in Orthodontics and was recognized for her research across North America, distinguished with the Thomas Graber Award for her research in digital radiography by the American Association of Orthodontists. She is a Fellow in the Royal College of Dentists of Canada, a Certified Dental Specialist in Orthodontics and Dentofacial Orthopedics with the Royal College of Dental Surgeons of British Columbia and Ontario, and board eligible for the American Board of Orthodontics. Education has been a priority for Dr. Cziraki, from her own impressive academic background and list of awards, to sharing her knowledge as a clinical professor in the faculty of dentistry at the University of British Columbia where she instructs the undergraduate dental students in orthodontics. Dr. Cziraki is committed to the pursuit of excellence in orthodontics and continues to study new techniques in order to provide many treatment options to her patients of all ages. 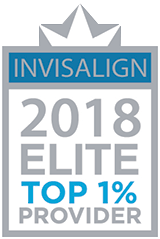 Dr. Cziraki has been recognized as an Elite Provider of Invisalign and is categorized as Top 1% of all providers in North America. Dr. Cziraki has been a certified provider of Invisalign since 1999 which was at its very inception and introduction into the Canadian market. She has treated over 1500 patients with Invisalign. Dr. Cziraki is sought after for her ability to treat almost any patient with Invisalign having pioneered many inovative biomechanical techniques she can give you the results that you desire using this amazing device. Book your complimentary consultation today to find out how easy it is to straighten your teeth using Invisalign! Dr. Cziraki’s specialty training in orthodontics and dentofacial orthopedics allows her to treat malocclusions (“bad bites”) and facial esthetics in growing children as well as adults. Dr. Cziraki is well qualified to provide orthodontic care for both children and adults that may be receiving additional dental work with their family dentist or dental specialist before, during, and after braces. Dr. Cziraki is a specialist! Orthodontists are qualified dentists, who after graduating from dental school, go on to additional full-time education in an accredited orthodontic residency program supervised by orthodontists. That training lasts three years and confers a Master of Science degree. By learning about tooth movement and guidance of facial development, orthodontists are the uniquely trained experts in dentistry to straighten teeth and align jaws in growing children. Dr. Cziraki has been an accredited orthodontic specialist since 2001. Selecting an orthodontist who is a member of the AAO and CAO is your assurance that you have chosen an orthodontic specialist with many more years of post-doctoral education focusing on advanced specialty training in orthodontics in a program accredited by the American Dental Association. Book your consultation with Dr. Cziraki and know your smile is in the hands of a specialist. Dentists are not Orthodontists. If your dentist tells you that they can do your Invisalign or braces treatment for you that does not mean that they are Orthodontists. Choose a specialist. Book your complimentary appointment today!